It’s a question I see a lot online. We all want to make extra money. Many of us just aren’t bringing in as much money as we’d like to from our full-time jobs. Some of us live paycheck to paycheck, and some of us find that after paying bills and saving, we don’t really have much of our paycheck left to spend. In the past, I have shared a simple way to make $400 a week realistically. I also showed you how to make $500 a week fast using nothing but Craigslist. There is also our list of easy ways of making $100 to $1000 monthly on the side. In today’s post, we’re going to cover realistic ways that you can make at least $200 a month, from the comfort of your own home. What’s great about these methods is that you only need to put in a few hours a week to earn that $200. You can use some of these options to make $200 a week without ever leaving your home! This means that you can make an extra income while still working at your full-time job. 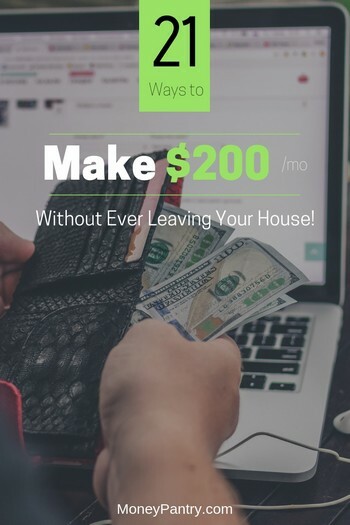 Here are some of the best ways anyone can make $200 a month online and from home. 1. Write lists and jokes! There are so many blogs out there, focusing on a huge range of topics, from science to politics. Many of these blogs pay people to write blog posts. If you write a few blog posts a month, then you could make $200 easily! How much you’ll earn depends on the pay rate for the blog that you’re contributing to. ListVerse ($100 per post): ListVerse pays you to write list-style articles. Cracked (up to $200 per post): Cracked focuses mostly on humorous pieces. So if you’re good at writing funny stuff, this is a great way to make some side money quick. Let’s say you get paid $50 apiece. You’d only need to write four articles a month to make $200. If you got paid $100 apiece, then you’d double your monthly income! For a big list of blogs and websites that pay you to write articles, read our “get paid to write” and “get paid to blog” posts. Rewards websites are one of the most fun ways to make some extra money. They won’t make you rich, by any means, but join a few, combine your earnings, and you can make a couple hundred extra dollars each month. While you might only earn $20 to $30 a month from a single rewards website, you can earn $100s if you combine them. So the key here is to join multiple reward websites. Treasure Trooper: Earn $50 a month. Check out earnings on TreasureTrooper here. Swagbucks: Earn $30 to $125+ a month, according to people’s income reports on Reddit. Perk: $30 to $120 a month, according to reports on this Reddit thread, and this one. Let’s say that you join TreasureTrooper and make $50 a month. You also sign up for Swagbucks and earn $115 a month. Finally, you join Perk and make $35 a month. Combine your earnings, and you’d bring in an extra $200 a month – just from doing easy, fun tasks, like watching videos and playing games. Are you a quick and accurate typist? If so, you could earn money as a transcriptionist. Basically, you listen to the audio, and then type, or transcribe, what you hear. You deliver the transcript and get paid. People on PayScale report earning $7 to $25 an hour as a transcriptionist. Let’s say that you earn $15 an hour. You’d only need to work around 14 hours a month, or 3.5 hours a week to make $200 a month. Earn $20 an hour, and you’d only need to work 10 hours a month to make the $200. Taking surveys is another super easy way to make a couple hundred extra dollars each month. Surveys can easily be done in your downtime, like when you’re watching TV. The key to making $100s from surveys is to join a few sites so that you increase the number of surveys that you’ll qualify for. MySurvey: This survey website gives you points that you can Redeem for money, or gift cards. This person on Reddit reports earning $20 to $25 for some surveys, and that they had more than 45 surveys waiting after checking their account for the first time in a couple of weeks. Pinecone Research: On Reddit, people report that they earn $3 a survey and get around one to two surveys a week. QuickThoughts: You can earn up to $3 per survey. SurveySavvy: Earn from $1 to $2 a survey, generally. However, you can also get surveys that pay from $5 to $10. Darwin’s Data: This site pays $25 a survey. Let’s say you take two surveys a week with Pinecone Research and earn $3 per survey. You make $6 a week and around $24 a month. You do the same with QuickThoughts, and again earn $24 a month. On MySurvey you take two $25 surveys a month, making $50 a month from the site. You take a few $10 surveys at SurveySavvy each month, as well as a $2 survey each week, and earn around $40 a month from the site. Finally, you take three surveys a month at Darwin’s Data and make $75 a month. Your total from all five websites would be $213 a month. Pro tip: Almost every person who makes more than $100 a month from surveys, uses multiple survey sites. Each survey site may only have a few available surveys per month so there is only a limited amount of money you can make with just one site. But if you join multiple sites, you will have enough surveys available to make a few hundred each month. For a big list of survey sites, check out our list of legitimate survey companies that pay. Online, you can tutor students in a huge range of topics, from math to science. For many tutoring jobs, you’ll need to have a degree and sometimes experience in teaching. So just make sure you have a good read of the requirements for a position before you apply to it. How much you make depends on the company you work with. On Glassdoor, people report earning from $11 to $25 an hour as an online tutor. So, if you earned $20 an hour, then you’d only need to work 10 hours a month, or two hours a week as a tutor to earn an additional $200 a month. Data entry clerks input data in spreadsheets, documents, databases and other data management systems. For many positions, you don’t need qualifications or experience, which is great. For some positions, you will though, so make sure you have a read of the requirements before applying to a job. On Glassdoor, people report that they earn anywhere from $11 to $18 plus an hour, as a data entry clerk. Let’s say you earn $15 an hour and work 4 hours per week. In total, you’d make around $240 a month! Whether it’s articles or product descriptions, there are so many companies, brands, website owners and individuals looking for written content. And they’re willing to pay you for it. If you know how to structure a piece and have good grammar, then you can earn money writing content. You could start with content websites. These are platforms that bring together writers with clients who need articles and other content written. They’re a good place to get started and to gain experience, but content websites don’t pay that well. So you may want to branch out into finding private clients on websites, like UpWork and Freelancer. According to figures from PayScale.com, Freelance Writers can earn anywhere from $10 to $55 an hour, with the average hourly rate being $24.70. Let’s say you earn $20 an hour. You’d only need to work 10 hours a month, around two a week, to earn $200 a month! Writers aren’t always paid hourly though – many are paid per word or per article. How much you earn per word or article can vary quite drastically too. You could make as little as $5 per article, or as much as $500! Consider teaching people English online, as you can easily earn an extra income from it. For most English language teaching jobs, you’ll need to have a language teaching certification, like a TEFL certificate. You may also need to have a degree. Just make sure that you read all of the requirements for a position before you apply to it. People on PayScale.com report that they earn from $12.35 to $39.26 an hour, teaching English as a second language (ESL). ESL teachers on average earn $20.26 an hour. So if you earned $20 an hour and worked just two hours per week, then you’d make $200 in a month! Yes, you can get paid to watch videos online. Sites like Swagbucks will actually pay you for watching videos. Anything from movie previews and celebrity videos to ads, latest news and more. This is so easy even a kid can do it (although you have be at least 18 to join Swagbucks). Ok, so you won’t make more than a few bucks just by watching videos, but every little bit helps. Combine watching videos with other ways of earning money on sites Swagbucks and you can easily make an extra $100 or two. Another way to make $200 a month from home is to do some virtual assistant work. On average, virtual assistants earn $15.61 an hour, according to figures from PayScale.com. However, pay can vary from $10 to $29 an hour. Let’s say you earn $15 an hour and work just four hours a week, you’d make $240 a month! Do you know how to structure a sentence? If so, then consider working as a freelance proofreader or editor online. Proofreading involves finding and correcting typos, spelling errors and grammatical mistakes. Editing can be more complex, and in addition to the steps involved in proofreading, can also include analyzing the structure of the piece and how it flows to make it more well-organized and easier to understand. For some editing and proofreading positions, you may need a degree or experience in editing or proofreading in order to qualify. According to figures from PayScale, editors, on average, earn $24.83 an hour. Let’s say you earned $25 an hour. You’d only need to work 8 hours a month, or two hours a week, to earn $200 a month! Companies want their customers to have the best experiences on their websites. Broken links, items that don’t appear in the shopping cart once they’ve been added, and pages that don’t load properly are frustrating. To ensure that they’re providing a good experience to their customers, brands hire website testers. As a website tester, you visit websites, like a regular customer would, and then provide feedback on your experience. You’ll need to give feedback on things like whether the website was easy to navigate and if you came across any errors or broken links. You basically get paid to help businesses to make websites better for customers. For more, check out this list of companies that pay you to test websites. How much you’ll earn varies, depending on the companies that you work with and how many tests you take. For example, UserBrain pays $3 per test, whereas Userlytics pays $5 to $20 per test. Let’s say that you earn $10 a test, and take 5 tests per week – you’d make $200 a month! 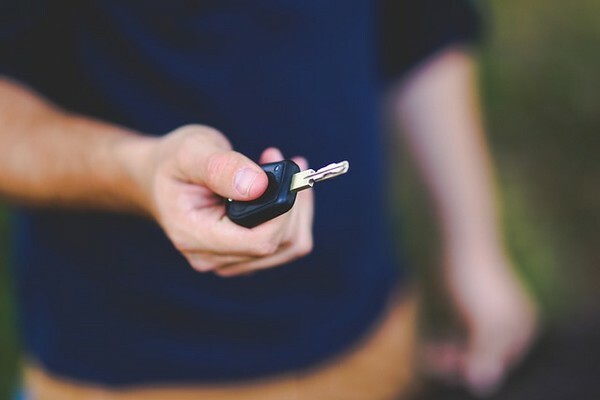 If your car is often just sitting in the garage or driveway, then consider renting it out. You can make quite a lot of cash doing this. How much you’ll earn depends on the company you use to rent out your car, how often you rent out your car and what model your car is. For example, Getaround says that the average car owner can make $6,000 a year. According to Turo, for a car with a $20,000 market value, which is rented out for 15 days a month, you’d make $6,501 a year. Hyre Car claims that you can earn $35 a day, $230 a week or $800 a month renting out your car. So if you rent out your car, you could earn anywhere from $500 to $800 a month! If you want to make extra money passively, then consider selling stock photos online. You don’t have to set up your own website – there are stock photo websites out there where you can upload your photos. On stock photo websites, you can put a photo up for sale, and earn money each time someone downloads it. Sometimes, you can sell the same photo over and over again, and others you sell as a one-off. Just upload your photos and you can start making money. You don’t necessarily need a fancy camera either. 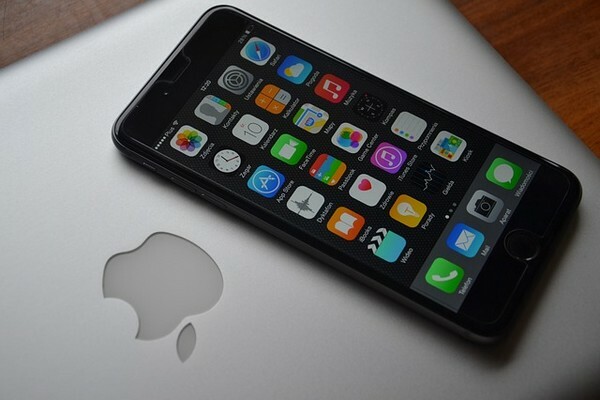 You can use an entry level DSLR or your phone’s camera if it produces good quality photos. You can also try to build up some traffic to your photos, so you sell more, but this isn’t a necessity. Read our Sell Stock Photos article and our 11 Sites That Pay You for Your Photos article to learn more about making money selling photos and for more stock photo websites. How much you’ll earn depends on how many photos you sell, and how much you earn per photo. How much money you make per photo depends on the website you’re selling through. For example, you can earn from $34 to $249 an image at 500px. At iStockPhoto, you can earn from $1 to $20 an image. You can earn from $1 to $40 per image with DreamsTime. These websites do take commission. For example, 500px takes 15% to 45%. Let’s say you sell 20 photos a month, and make $10 an image – you’d earn $200 a month. Whether it’s narrating videos or annotating photos, online you can get paid to do a range of small tasks, or micro tasks as they’re sometimes known. It really varies! How much you make depends on how many tasks you complete, and the amount you get paid per task. Let’s say you sell services on Fiverr. You can actually earn more than $5 per task, so let’s say you earn $10 per task. To make $200 a month, you’d need to complete 20 projects a month or five per week. On Reddit, one person says that they make $20 to 30 a day on Mturk. This would put their earnings, at $600 a month. Another user says they make around $50 a month on Mturk. If you don’t mind dealing with people over the phone or via email, or instant chat, then consider working as a customer service agent. Customer service agents answer customer queries, solve problems that customers may have, or provide tech support. According to figures from PayScale, customer support agents earn $13 an hour, and can make anywhere from $9 to $19 an hour. Let’s say you make $13 an hour. You’d need to work just 4 hours a week, to make around $208 a month! 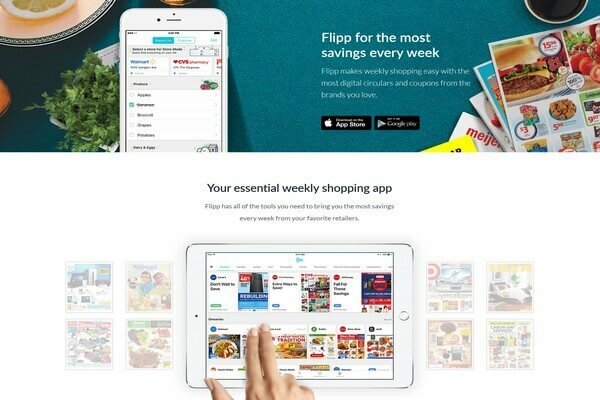 Using coupons can actually save you a lot of money each week. According to statistics, of the 305 billion CPG coupons distributed throughout the country in 2012, only 2.9 billion of those CPG coupons were redeemed. That’s a lot of savings that people are missing out on! According to statistics from Valassis, using coupons saved 30% of people more than $50 a week. Using coupons, you could add an additional $200 a month to your bank account! You can earn money from selling courses online. You can create a course on anything, from how to use Photoshop to creative writing. You don’t have to set up your own website either. On Udemy and Skillshare, you can easily list your course for sale and make an income from it each month. How much you earn will vary depending on factors, like how much you sell your course for, and how many courses you sell each month. One person on Reddit says that they put in around 10 hours a month of work on their courses, and earn $550 a month selling them on Udemy. Skillshare states that first-time teachers make, on average, $200 in their first month. Some people even earn thousands from selling their courses each month. Publishing books on Kindle can earn you money, especially if you publish multiple titles. Your book could be fiction, so you could write a thriller for example or non-fiction, so you could write a book on how to lose weight. The key with Kindle is to have more than one book out there. If a reader likes one of your books, then they’re likely to check out your catalog and buy other titles from you. With Amazon, books tend to sell other books. How much you’ll earn will vary, depending on how many books you have up for sale, how you price each book, and how many sales you get each month. One Reddit user says they made £400 ($521) in the first month from selling their books on Amazon. In another thread, a Reddit user says they make $300 to $500 a month from selling their books on Kindle. If you can speak more than one language, then why not do some translation work online? You could make $100s extra each month. According to figures from PayScale, the average pay for a translator is $20. This means that you can work just 10 hours a month, and earn $200. However, hourly pay can vary anywhere from $12 to $40, and from $30 to $50 according to JobMonkey.com. To get started, read our list of legitimate translation jobs. Your blog can be about any topic you want – just make sure you have an interest in the subject, as you’ll need to write a lot of articles about it! Blogging won’t make you an income overnight. You’ll need to put up content, monetize your blogs by doing things like putting Google ads on your site, and promoting affiliate products and services, and drive traffic to it first. As your blog grows in traffic, and you get more visitors, you’ll make more money. We have a full post on how to start your own blog and ways to make money blogging. Check out that post here. Some people make as little as $30 a month from blogging, and others make more than $50,000 a month. So income for bloggers really varies. JustAGirlandHerBlog.com earned $51,803 in October 2016. ThisOutNumberedMama.com made $1449.33 from June to August 2016. EmbracingSimpleBlog.com made $2,415 during January 2016. ArtsandClassy.com earned $5,008.58 during July 2017. MostlyMorgan.com made $3,634.20 in September 2016. So, you can make $200 a month or even thousands of dollars each month from blogging. Read “how to start a blog for free and make money“. These days there are a lot of side hustles available. You just have to be willing to commit to them. Use cashback sites to earn cashback every time you buy something online. Enter free contests for a chance to win money and prizes. Design and sell t-shorts using sites like Teespring and Spreadshirt. Participate in online focus groups. Here’s a list of legit focus groups that pay. Use sites like eJury and OnlineVerdict to get paid by participating in mock trials. Buy used books at yard sale and sell’em using BookScouter. If all else fails, have a Good ol’ garage sale. With some of these you may make less or more than a few hundred a month. Either way, you will make some extra money. There are so many ways to make an extra $200 each month. Some of them are super easy too! There’s also the opportunity to build on that amount and make $220 the next month, and $250 and then $300 and so on. Heck, combine some of these and you can even make that $200 in a week. So next time you need an extra $100 or $200 a month give one or a few of these methods a try!